Note: The following information is not intended to take the place of appropriate supervision, common sense, or the advice of your own family doctor. 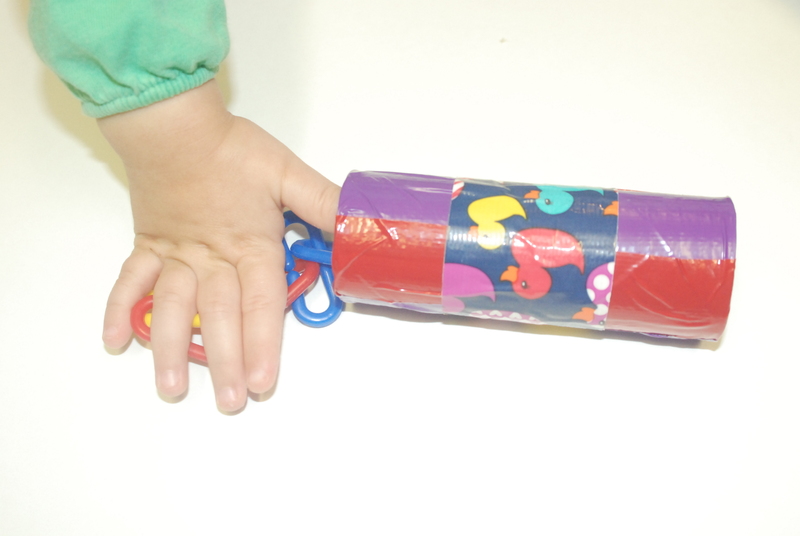 This is a simple craft project for toddlers/preschoolers and will not prevent choking. Please supervise your children. My pediatrician recently reminded me to keep small objects, such as Lego pieces, out of reach of my 8-month-old baby. When you have just one baby, this is a challenge. When you have one baby, one toddler, and one preschooler it’s not that easy anymore! My pediatrician suggested that I show my older two kiddos a toilet paper tube and tell them that if a toy can fit in the tube then it’s too small for the baby. I thought this was a great idea and my kids loved it too. 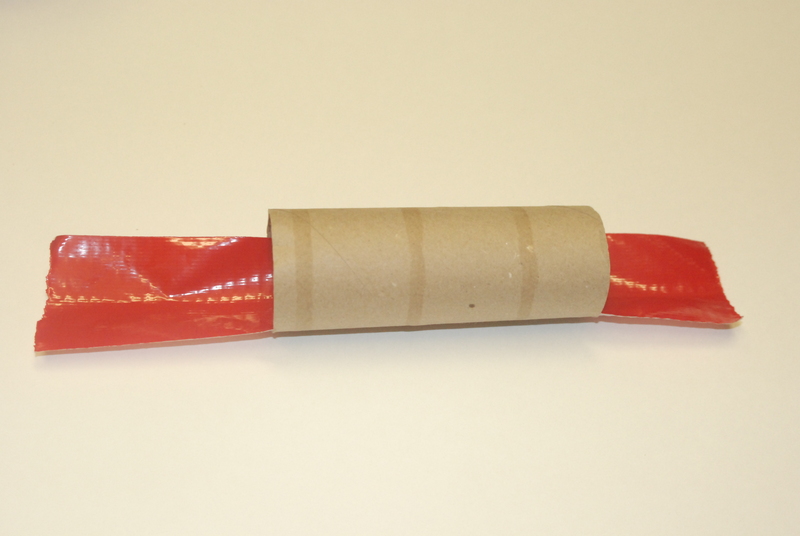 Unfortunately, the cardboard tube didn’t last too long… they never do. Cardboard is fun to tear into pieces (It seems that these teeny pieces can then be chewed up into spit wads and shoved up your nose warranting another, unscheduled trip to the pediatrician)! Anyways… I decided to cover a tube with duck tape and leave it in the play area so the kids can check to see which toys are safe for the baby. Not that it will really prevent them from giving the baby something to choke on (see end note). Here’s how we did it. 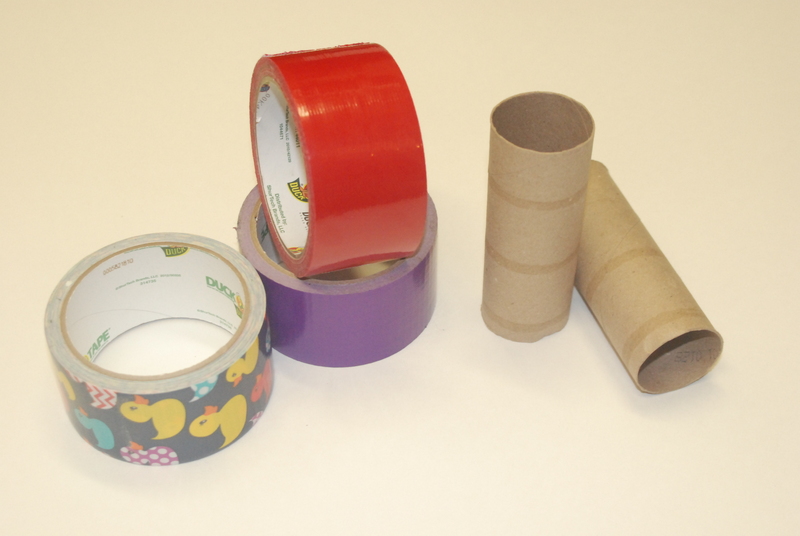 Step 1: Tear Duck tape into strips that are twice the length of the tube. You’ll need 5 strips total but I recommend tearing them one at a time. 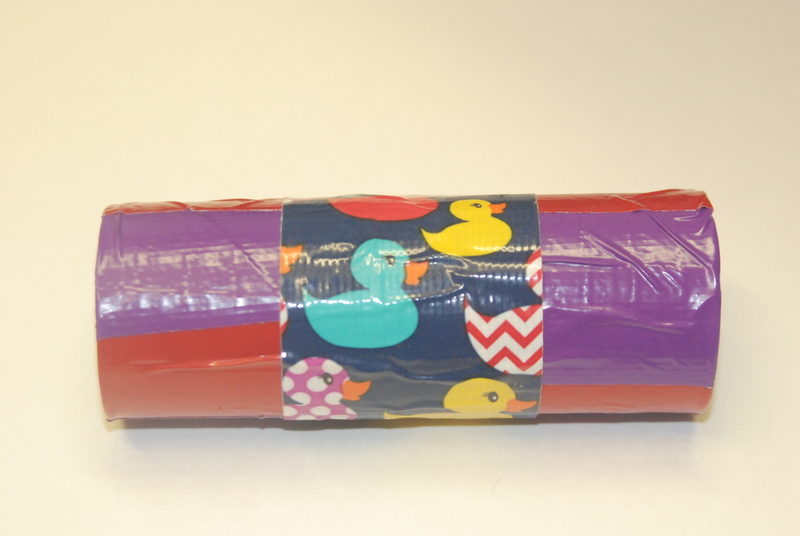 We used three colors of Duck tape but feel free to use whatever colors you want. 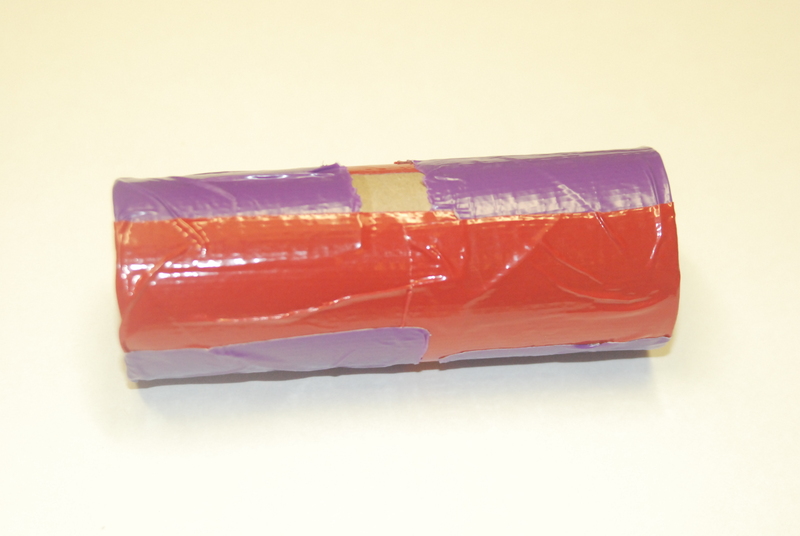 Step 2: Center the tape inside the tube and stick it to the inside of the tube. This part is a little tricky. 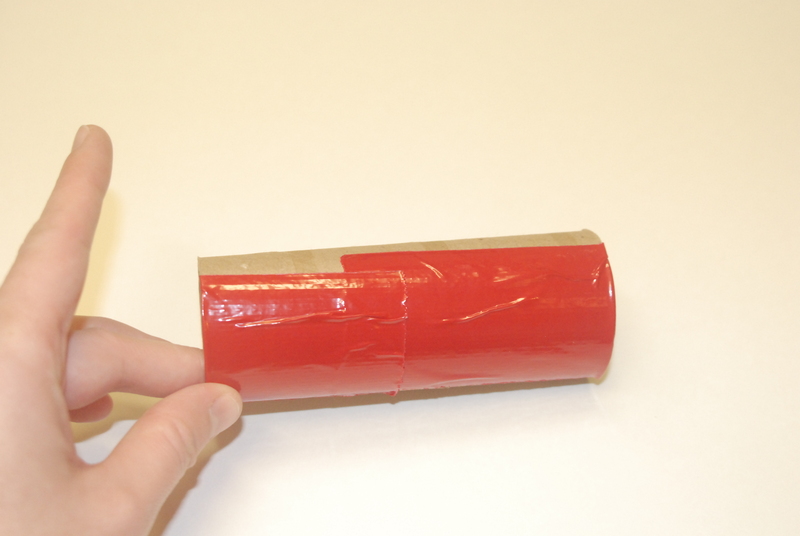 You’ll want to fold the tape in half with the sticky side facing outward and “thread” it through the tube. 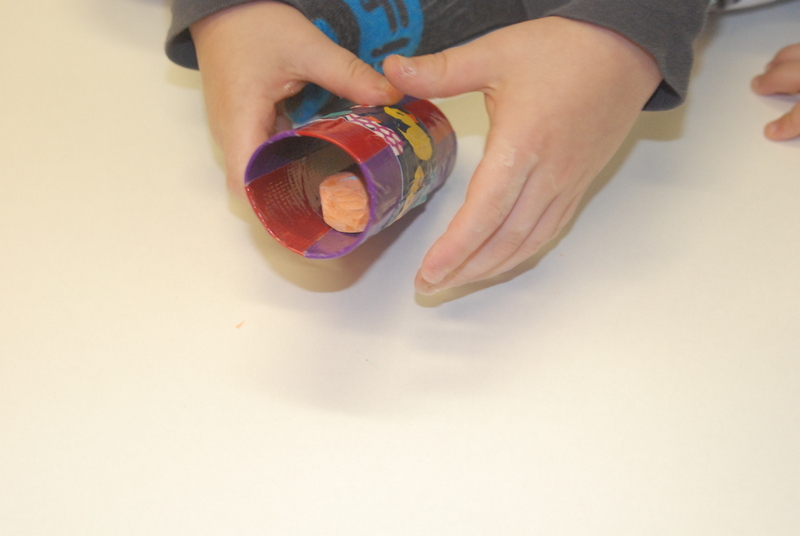 Once it’s stuck to the inside of the tube carefully fold the ends over onto the outside of the tube. 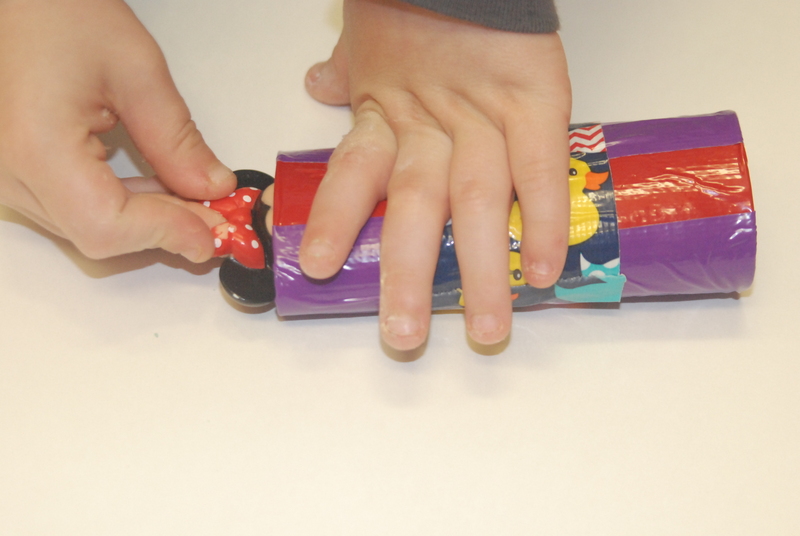 Continue with 3 more strips of tape, overlapping them as you go until the tube is covered. 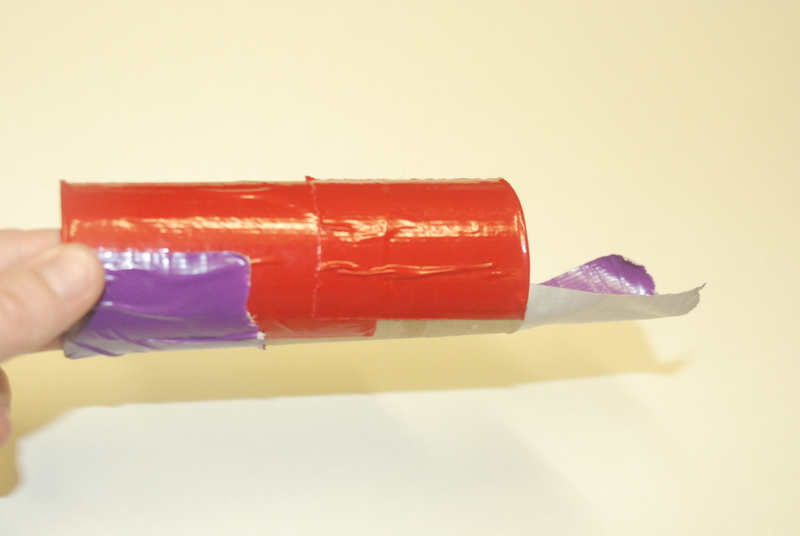 Step 3: Wrap a final piece of tape around the outside center of the tube. Step 4: Explain to older children that anything that fits inside the tube is too small for the baby and shouldn’t be given to the baby. 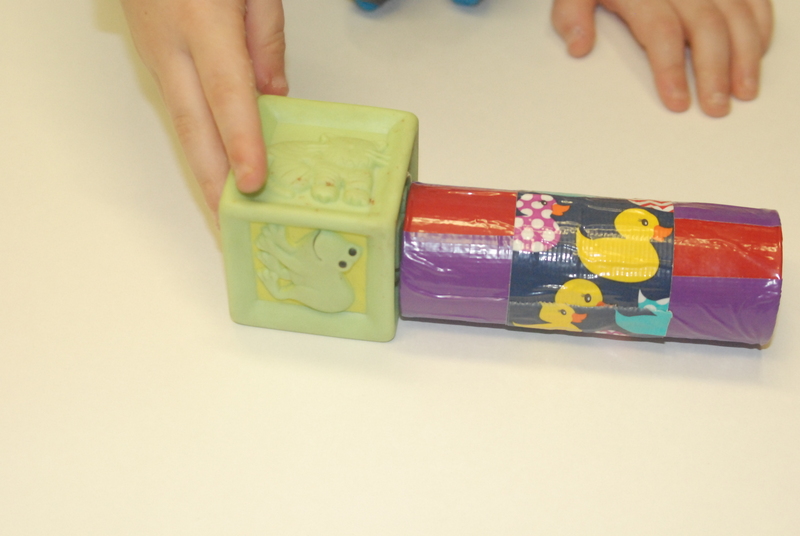 Step 5: Find several toys and show the older children how some toys fit into the tube (Legos, marbles, Matchbox cars, etc.) and some toys do not (baby rattles, large building blocks, stuffed animals, etc.). 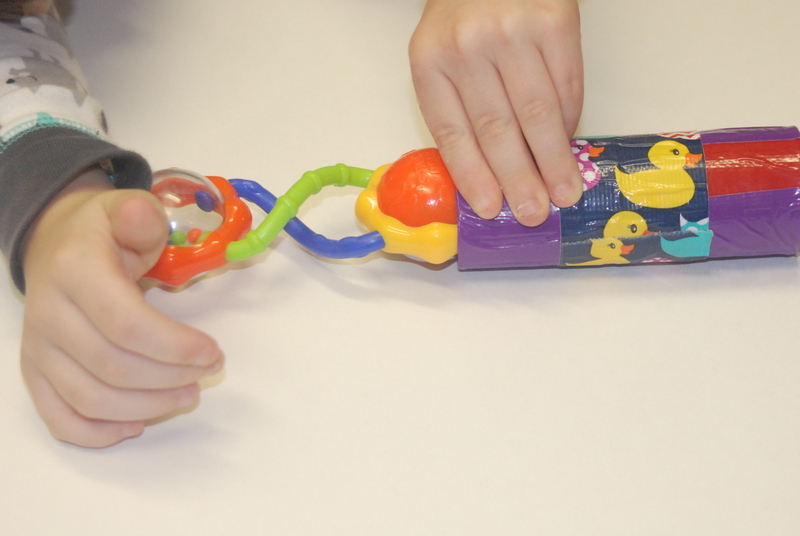 Step 6: Let the children experiment with toys to see which ones are safe for the baby while you supervise them. Step 7: Never leave your baby or young child unattended. Step 8: Take an CPR class that includes instruction on CPR for infants and children. Note: Immediately after completing this project my 2 1/2-year-old gave my 8-month-old an un-inflated latex balloon (an obvious choking hazard). So again, never leave your baby unattended, especially in the company of well-meaning toddlers.